Whatever would these Londoners make of Instagram and Facebook? 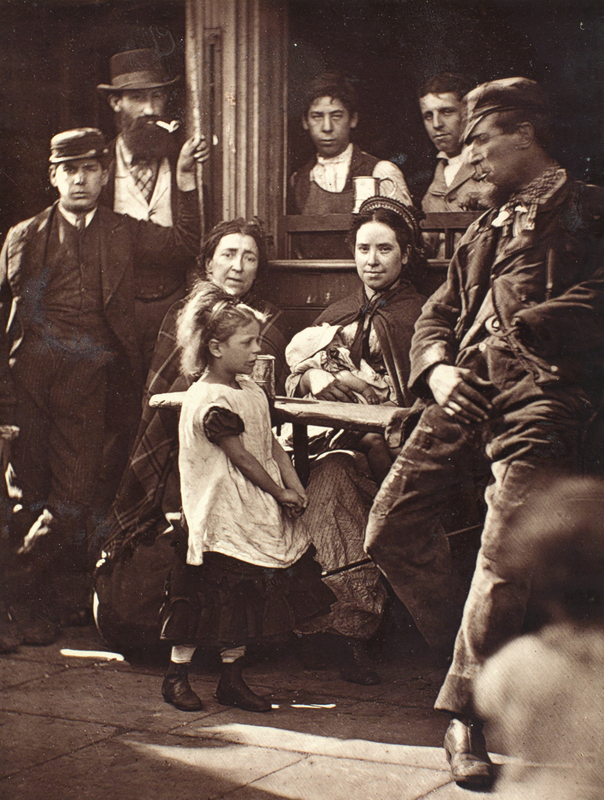 The group of Victorians was photographed by John Thomson in 1877, outside an inn on Whitechapel Road. Ted Coally, known locally as 'Hookey Alf', appears on the right. 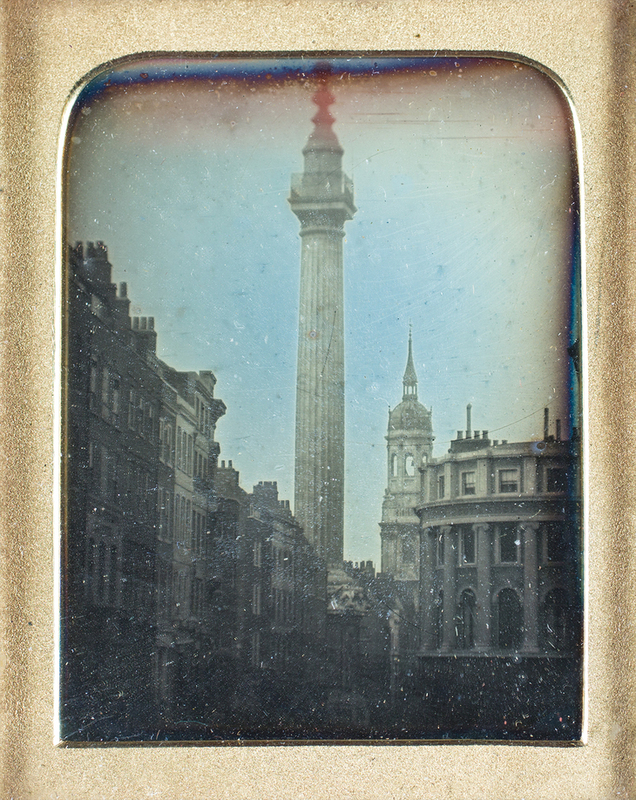 The amazing image appears as part of Victorian London in Photographs, an exhibition presented by the City of London Corporation's London Metropolitan Archives. The exhibition is free to view, al fresco in Aldgate Square. And as this taster suggests, it's really worth going. 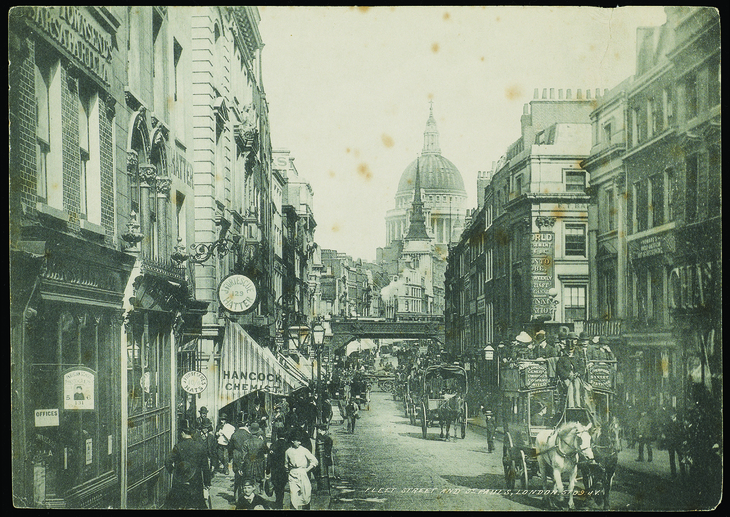 This photo captures Fleet Street in 1890, looking east towards Ludgate Hill and St Paul's. Note the puff of steam from the train running on the London, Chatham and Dover Railway, which crossed Ludgate Viaduct. 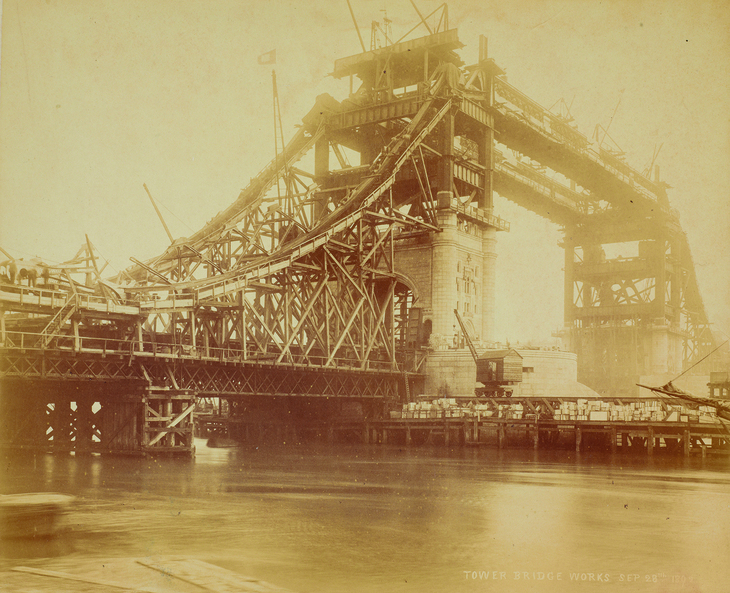 The viaduct was demolished in 1990. 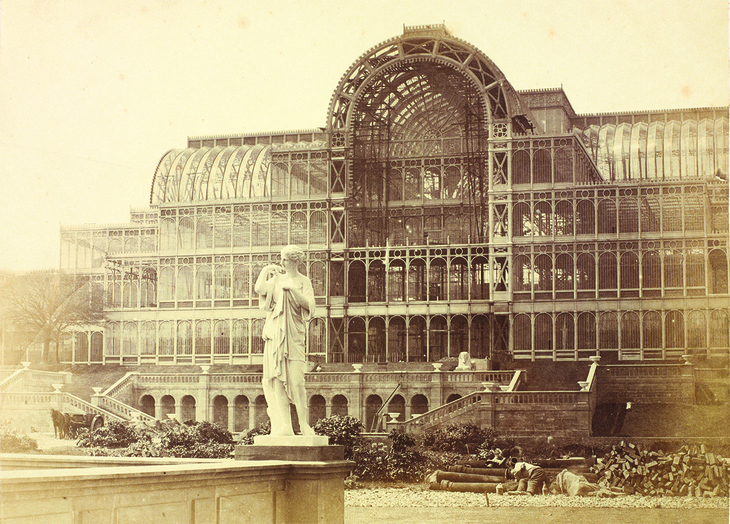 Elsewhere, iconic structures are captured half built, including the Crystal Palace, when it was relocated to Sydenham Hill. This photograph by Philip Henry Delamotte taken sometime between 1852 and 1854 shows the South Transept during its reconstruction. The human images are some of the most arresting. 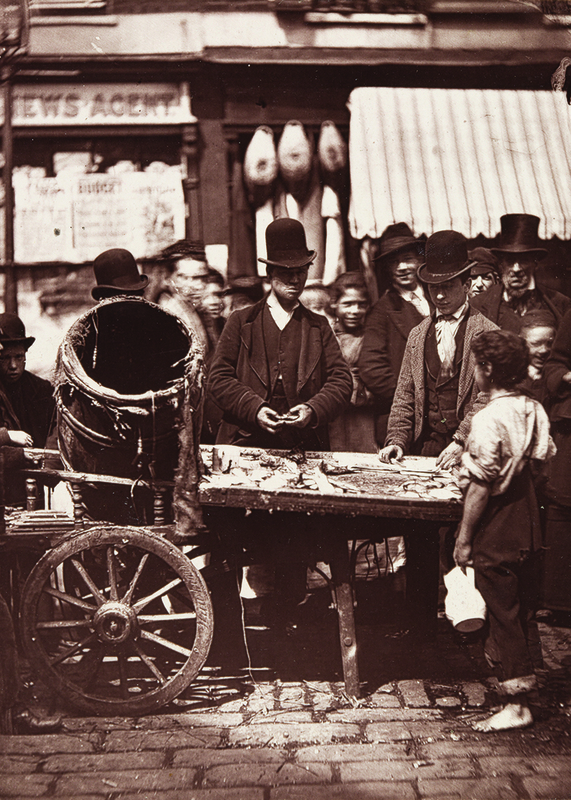 Here, Joseph Carney sells herrings from his stall in St Giles, Holborn, in this 1877 photograph by John Thomson. 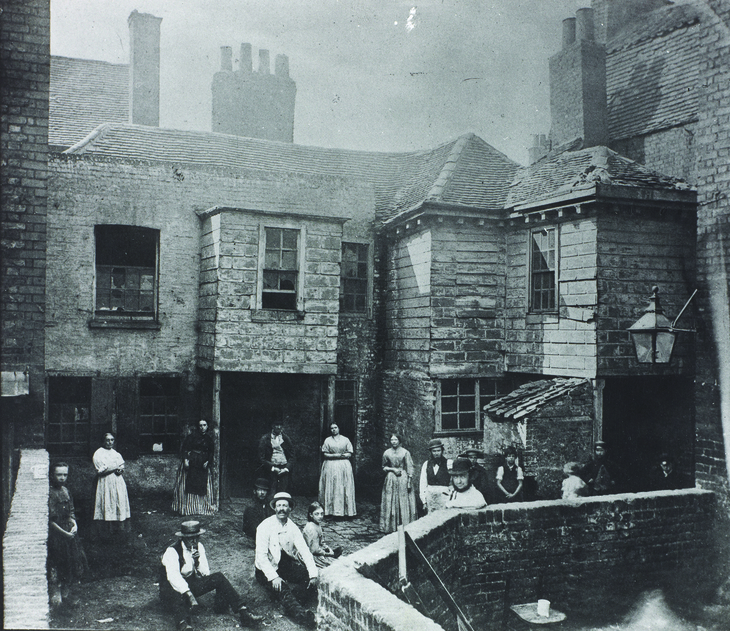 While residents nonchalantly pose for the camera in Market Court, Kensington (a slum) in 1868. To finish: a view of Iron Wharf and Bull Wharf, with St Paul's Cathedral rising in the background. 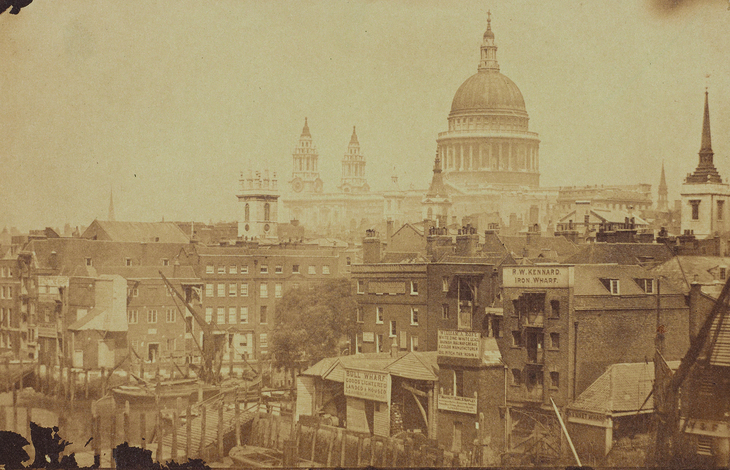 The photograph was taken from Southwark Bridge by an anonymous photographer, c. 1855. Little did they expect it'd be studied by fascinated Londoners, some 160 years on. See these photographs and others, in Aldgate Square, until 12 August. The exhibition then moves to Paternoster Square, where it runs until 23 August.